The India-Pakistan issue has always been a sensitive one. Be it cricket or war, there seems to be an eternal spotlight on the relationship between the two former ‘Hindustaanis‘. I guess that is why when I came across this film, it instantly stood out. 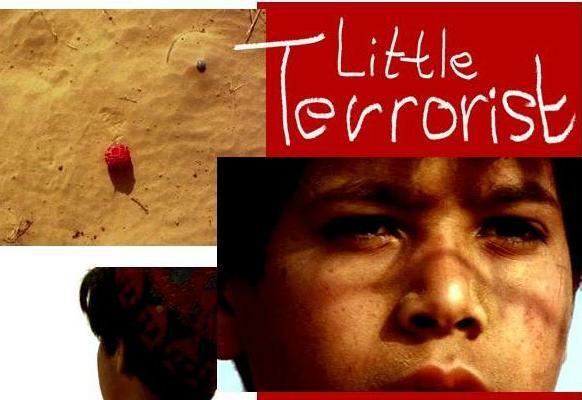 Little Terrorist is a short film written and directed by Ashwin Kumar. The film was completed by March 2004 in less than four months. The film is captivating to say the least. For the first time, one can actually have an innocent laugh even with a grave issue that has been chosen. The differences cross border may be plenty but the similarities are much more and seem to be enough to let go of petty differences. I am not the only one who loves this film. Nominated for the Oscars, European Academy Awards and winning at the Manhattan Film Festival, Montreal Film Festival and the Flanders International Film Festival – all this proves is that you need to watch this film. Do let me know what you think of this film. Drop in your comments below. I saw the film its brilliant ! 🙂 thanks for sharing ! A bit under Four months and the best movie under our nose.